Picking colors for various parts of a WordPress site is a popular thing. Many plugins and themes have such options so users can customize the appearance of their site. 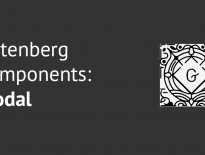 Gutenberg has a component which you might use when working on your new Gutenberg Block or even a separate app. If your block or app will have an element for which the user might need to change colors, you will use the component ColorPicker. 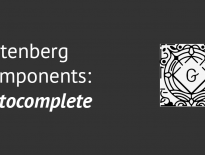 This Gutenberg Component can be found in the repository. onChangeComplete – this is the function that you will use to handle the color change. You can then applying to other components of your block or anywhere else. is-alpha-enabled – applied if the property disableAlpha is not provided. Let’s consider wrapping the ColorPicker Component with our own dumb component. Maybe we have a naming convention that we want to follow and for example, onChange is used everything. By using that, the property onChangeComplete is not following that naming convention. We created a wrapper, a function, that returns the same ColorPicker components. We then accept the property onChange and use that in the place of onChangeComplete. Since this component is a simple one and it’s usage is pretty straightforward, you don’t really have to search on how Gutenberg has implemented it. But it is always nice to see how the developers who created this component, use it in their own app. I’ve found out that ColorPicker is being used by the component ColorPalette. Since the code is a bit longer here, I will paste only the part where ColorPicker is used. For the whole code of it, you can check the repo. This is a component that I think it will be used a lot by other blocks. I can even see it being used in separate apps that utilize the Gutenberg packages for creating UIs. Web Developer who mainly uses WordPress for projects. Working on various project through Codeable & Toptal. Author of several ebooks at https://leanpub.com/u/igorbenic. 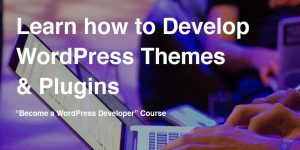 Learn about Theme & Plugin development in this complete course "Become a WordPress Developer". This is not my free email course, but a complete course to become a competent WordPress developer. 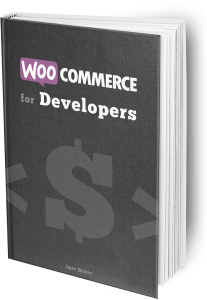 I have published a new eBook "WooCommerce for Developers". Start creating better WooCommerce sites. I am working with a WooCommerce agency Grow Development to help stores using WooCommerce with custom development and site support. Hello, my name is Igor Benić and I am a WordPress developer who writes and teaches everything about WordPress.